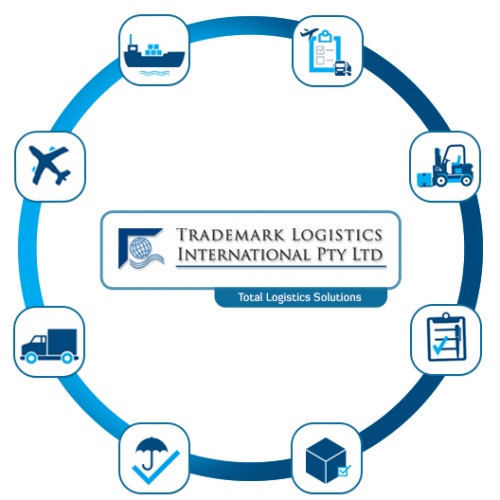 Welcome to Trademark Logistics International Pty Ltd based in Melbourne, Australia. Trademark Logistics International Pty Ltd is a progressive and dynamic organisation committed to providing customers with efficient and cost effective Freight Forwarding and Customs Clearance solutions. Our Company provides Global Logistics Services via representation in all major cities in Australia and around the World. International Logistics is a vital element of global trade and due to its complexity it must be managed professionally to ensure prompt, timely and viable movement of products. Trademark Logistics is positioned to allow you to totally concentrate on your core business activity while we take care of getting your product to and from its market with ease. Built on years of knowledge and experience, you can trust Trademark Logistics to offer a personalised service at competitive pricing with a pro active approach to business at all times.